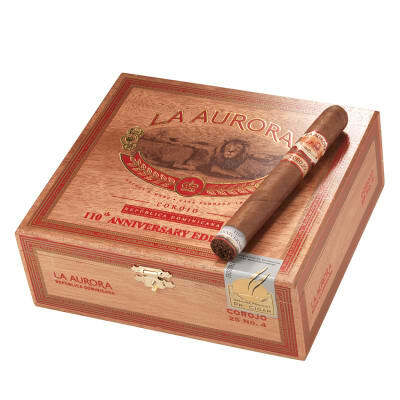 Only after 107 years of producing cigars at Tabacalera La Aurora the La Aurora is constructed to commemorate this occasion. Wrapped up in a Ecuadorian developed leaf with various Central American binders and fillers produce this Guillermo Leon. Great cigar! I ve had trouble finding these, but now I know you have them, I ll keep buying from you. This corona really impressed me. Some were a bit rough looking on the outside, but a beauty within. A nice mix of flavors throughout. Just finished a box of these, and the consistency was very good, a few slight burn problems but I ll trade that for the overall pleasurable flavor experience these deliver. Wrappers also withstood going from my storage humidity 65% o outside humidity levels in the teens without failure due to cracking and this without dry boxing. A BIG plus in this areas climate. Very good cigar! Turned me into a corona fan. 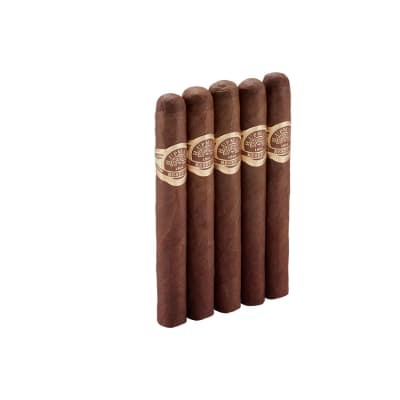 These cigars look to be well constructed. Every one in the box had very even burn and very good open draw. I liked the flavor and body, which is a medium-full. Not at all overpowering. 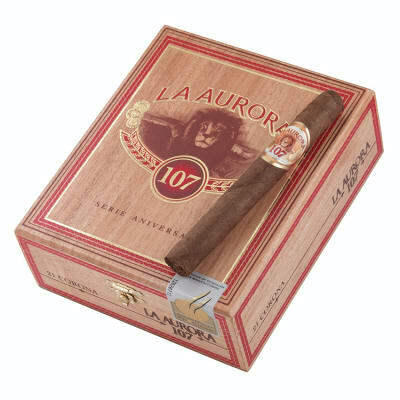 I would definitely buy La Aurora 107 s again. 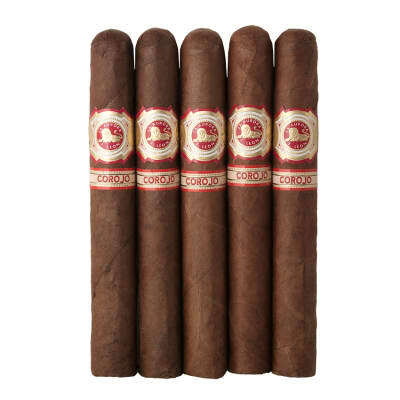 Maybe I ll try a different vitola but the corona is becoming my go to. Best corona on the market.